Conference will take place in the conference centre of Swissotel Tallinn (Address: Tornimäe 3 Tallinn Estonia). English-Estonian interpretation will be provided during all sessions. Participants are expected to make their own travel arrangements. It takes only up to 10 minutes to get from the airport to the hotel by taxi, and vice versa. However, during certain hours (between 4-6 p.m. on business days) it would be advisable to plan for longer travel times in case of traffic jams. Taxis are available 24/7 at taxi stops located in the front of the airport’s building and the hotel. The estimated fare for the 10 minute taxi ride would be around 7-8 Euros. You are entitled to request the receipt from the driver. Please note that the hotel reservation is entirely the responsibility of the conference attendants. 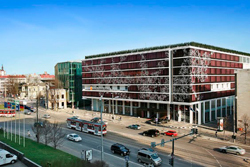 The organizers have secured a preferential rate for lodging at the Swissotel Tallinn where the seminar will take place. To obtain the preferential rates, you are requested to reserve the hotels using the reservation code „ACHR“. Price includes: Buffet breakfast, relax centre, free broadband access and 9% VAT. There are several other hotels near the conference venue. The GSM mobile phone system is available; please check compatibility with your operator. Mobile Prepaid Service SIM Cards (Simpel, Smart,Zen, Diil) from different local mobile operators are available at most newsstands and supermarkets. There are over 300 free wireless Internet zones around the city, includingOldTown squares, concert halls, pubs and restaurants. National currency is Euro. 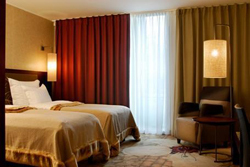 Larger hotels, stores and restaurants accept Visa, MasterCard, Eurocard, Diner’s Club and American Express. However, it is advisable to carry some cash with you. Traveler’s cheques can be exchanged in most banks, but are less likely to be accepted in shops. There is plenty of banks inTallinnthat can be easily found. Most of them are opened from 9 a.m. to 6 p.m. on weekdays, while some offices are also opened on Saturday mornings. All banks offer currency exchange services. 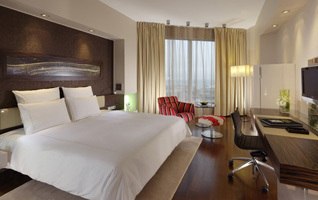 Exchange points can also be found in larger hotels, airport, harbor, railroad station and major shopping centers. Estonia’s official language is Estonian. English, Russian and Finnish are also understood and widely spoken. Current time zone offset: UTC/GMT +3 hours (Standard time zone +2 hours and daylight saving time + 1 hour). Taxis are available 24/7 at taxi stops. Additionally, taxis can be ordered by phone. For further information, please refer to: www.taksod.net . For public transport routes and schedules, please refer to: http://soiduplaan.tallinn.ee. The fares and other information on Tallinn public transport tickets is available at http://www.tallinn.ee/eng/Public-transport-tickets. For current local weather, please check www.weather.ee. Average temperature in December is -2° C.